Jonathan Ive was born in 1967 in London and is Senior Vice President of Industrial Design at Apple Computer. 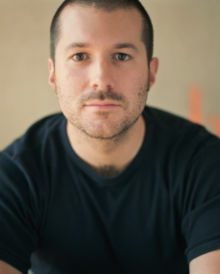 Jonathan Ive is, simply said, one of the best designers in the world. I’ve just stumbled upon a fantastic article from Business Week which explains who really is Jonathan and how he comes up with his fantastic designs for Apple. By the way, Ive led the team that designed the iMac and the iPod! And, of course, the MacBook (Pro) and the Mac Pro. “AppleDesign: The Work of the Apple Industrial Design Group” by Paul Kunkel. There are over 400 photos including pictures of prototypes that never saw daylight!! From the Apple II (1977), the Macintosh (1984), the first PowerBook (1990) to The Twentieth Anniversary Macintosh (Spartacus) in 1997. The story of each machine/project is also narrated. It’s a pretty rare book; one of the jewels of my Apple book/posters collection…Bought it from Amazon about 7 years ago (it cost about Rs1k)…last time I checked, it was worth US$200!! A collectors item!! Just like Apple Posters, T-shirts and merchandise…Same for the 1998 “Year of The Think Different Book”, which I bought from http://www.redlightrunner.com for $30 in 1999…It’s now worth $150!! Another great book you might want to check about Apple is Alan Deutschman’s unauthorised biography on Steve Jobs: “The Second Coming of Steve Jobs” (2000). The book talks about the rise and fall of Apple’s co-founder, his dark years after he was kicked out of Apple in 1985…his next big thing: NeXT and Pixar…And of course Apple’s purchase of NeXT and his triumphant return to Apple in 1997!! Well written, full of anecdotes. It depicts the mercurial, dictatorial and extreme perfectionist character of Steve Jobs. Andy Hertzfeld’s “Revolution In The Valley” is also an excellent book about the making of the Macintosh. This guy is really cool and funny! ‘Sup jonathan, i want to say your really cool. I mean, like noody would even know what an ipod would be if it wasnt for you. I really dont have anything else to say. So, i hope your ok. BYE!! !